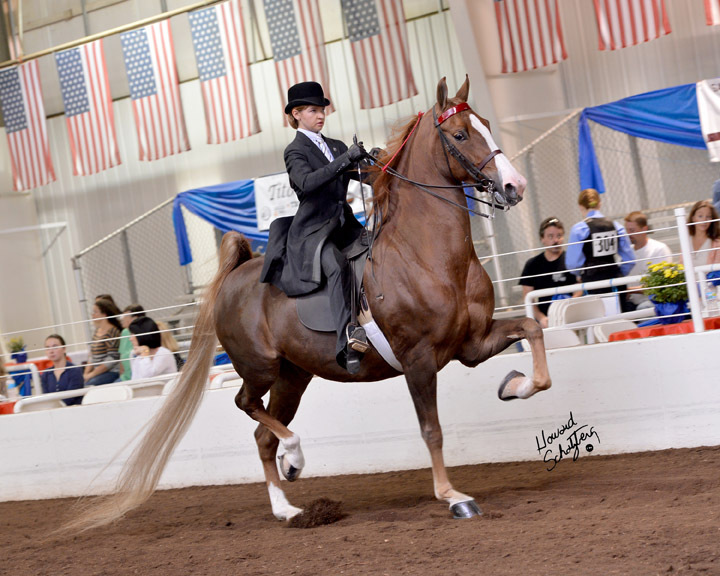 Lynn McCallister and her students have shown American Saddlebred horses at every level of competition, from the beginner level Winter Tournaments to the World’s Championship Horse Show in Louisville, Kentucky, where Lynn and her students have won World’s and Reserve World’s Championships. Showing is a fun way for kids to learn good sportsmanship and to be rewarded for their hard work, and it’s a great way for adults to enjoy a very social atmosphere full of friendly competition. Lenore’s Tornado & Morgan Balentine winning the Jr. Exhibitor 3-Gaited Show Pleasure class at the 2014 Boone County Fair. On to Adult Show Pleasure in 2015! 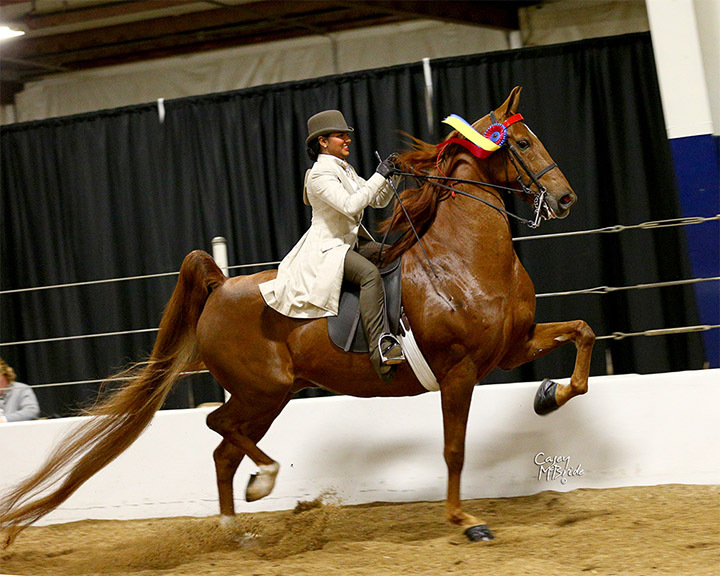 There are many different divisions and classes within divisions at horse shows, including 3-Gaited, 5-Gaited and driving classes, as well as equitation. At LMS, we can help you decide how, when and where to show. For those just getting started in the exciting world of showing, we participate in the Central States Winter Tournament Series of academy horse shows throughout the off-season. To learn more about the tournament, visit our Tournament page.